This week’s question was a rather straightforward request. Please do an OQ about the changes to the Loot System for Legion & what we should be wary of viz Tokens / Legendaries & = drama. Every expansion brings with it some new twists to WoW‘s loot system and Legion is no different. Let’s go through it! 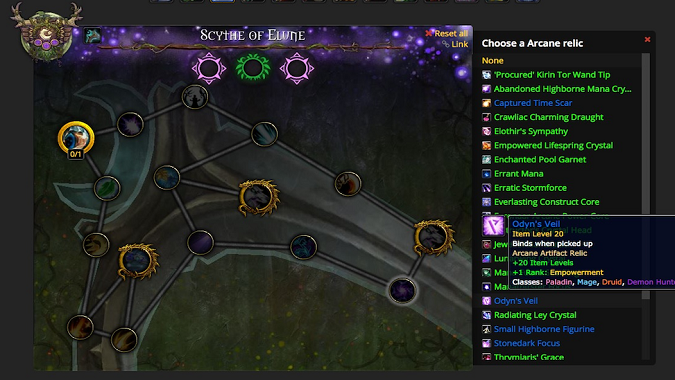 The biggest change for loot in raids by far is the new iteration of the Personal Loot system. Blizzard wants you to use this system. Legion doesn’t even let you choose Master Loot unless your raid has at least 80% guild members. 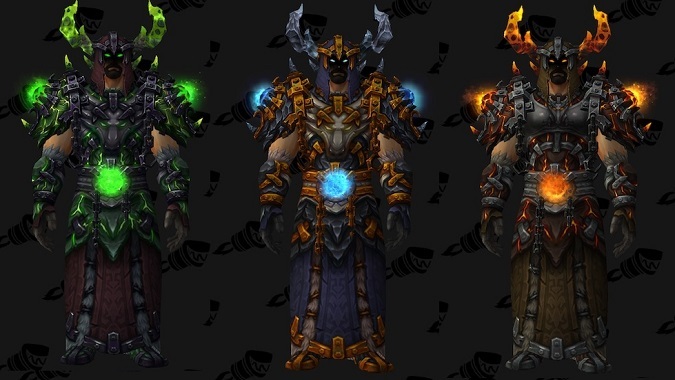 Master Loot will likely be the default for progression-race guilds. For the rest of us, I think Personal Loot is the way to go given the massive number of headaches this system erases. If you’re not aware, Personal Loot means everyone in the raid has a random chance to get an item from each boss. In the past, guilds tended to avoid this because the items were so often wasted. An amazing healing trinket that could have gone to your Shadow Priest’s offspec would be stranded in your Holy Paladin’s bags. Legion fixed that issue. You may have noticed this in dungeons already: if an item isn’t a strict upgrade for your character, you have the option of trading the item to anyone else who’s eligible. Personal Loot has made dungeon runs a lot friendlier for that reason, in my experience so far, and I’m glad for this change. For raids this is a godsend. You no longer have to worry about sacrificing progression for convenience when you opt for Personal Loot. Certainly there will be some fringe cases where a relic is a strict upgrade for your Warlock so she can’t trade it to your Death Knight, who can make much better use of the item’s bonus. That’s going to happen, but it will be very unlikely. The tradeoff is worth it. It won’t make loot drama disappear entirely. No loot system that has any type of flexibility to it can do that. But it will drastically reduce drama. Also, it’s one less task that the officers have to worry about it. Fairly assigning loot is one of the biggest aggravations of leadership in WoW raiding guilds. That task simply goes away if you use Personal Loot. For most guilds it will be the best option by far. While bidding DKP was a fun little post-boss mini game in my guild, I won’t miss it. Players get Legendaries randomly, with a built-in failsafe to make sure everyone will get one eventually. As an officer, you have no control over who gets which Legendary — but you can leverage those items to your guild’s advantage. Many Legendaries have a significant effect on performance, above and beyond their baseline 895 ilevel. I won’t say it’s fair, but given players of roughly equal skill, if you’re limited in available slots, it makes sense to bring the players who have Legendaries over those who don’t. It’s only an issue for Mythic guilds or extremely robust Normal/Heroic raid teams, though. Beyond that, raid leaders should pay attention (or ask about) who has which legendary and what that player might need in order to use it best. For example, Outlaw Rogues have boots called Thraxi’s Tricksy Treads. They let you deal more damage based on run speed. For a Rogue with these boots, Sprint becomes a DPS cooldown. If you need a melee to run around for a boss mechanic, it makes more sense to choose a different player for that assignment, if possible. On the other hand, a Shaman with the Spiritual Journey boots might be happy to run around as a Ghost Wolf for bit. The value of a specific relic is very tricky to gauge from spec to spec. Because the bonus of a relic is tied to a specific artifact trait, its impact on a player’s performance can vary drastically. If you’re not using Personal Loot, make sure your raid is accounting for these differences when distributing items. Ideally you want each relic to go to someone for whom it’s both an ilevel upgrade and a bonus to one of their better artifact traits. The world bosses that are live this week drop ilevel 860 gear, which actually has a higher baseline than Normal-mode raid gear. 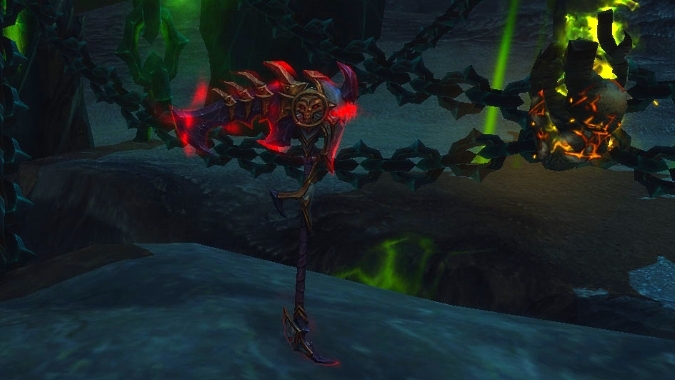 This is in contrast to the initial Warlords model, in which the world boss drops weren’t as good. You should organize and/or encourage clearing all available world bosses for loot upgrades. Have a question for Officers’ Quarters? Ask it below or on Twitter.